Say ‘Hello’ to Get-LegacyHelp! 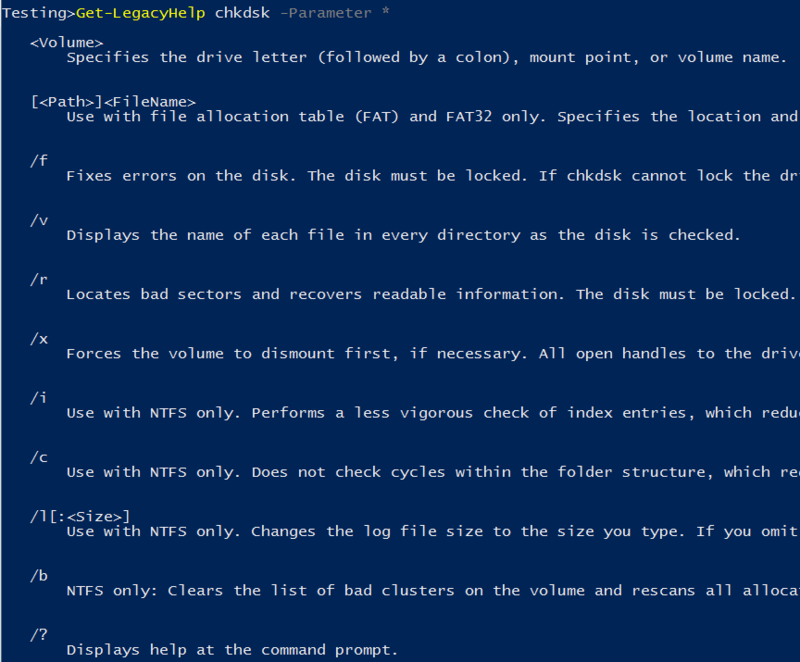 With Get-LegacyHelp you can retrieve help for built-in windows command line tools in a similar way as Get-Help works against PowerShell cmdlets. The Module can be downloaded from my GitHub repository. It’s not perfect since the information is not consistently structured throughout the .chm file. If you want to improve it, please feel free to fork and share.